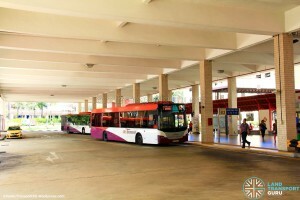 Bishan Bus Interchange is a bus interchange serving Bishan New Town in Singapore. 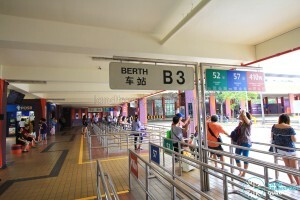 Located at Bishan Street 13, it links up with Bishan MRT Station, Junction 8 Shopping Centre, Bishan Public Library, Bishan Community Centre and CPF Bishan Building. 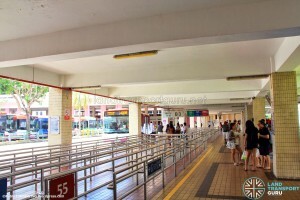 An entrance to the Circle Line is right next to the interchange. 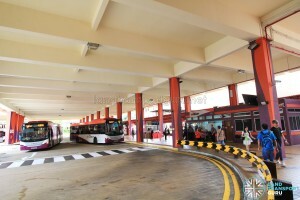 The building of Bishan Bus Interchange was first planned to support the development of Bishan as a new town. 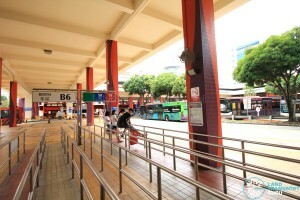 Only one bus service, Service 56, connected between Toa Payoh and Bishan Street 13. 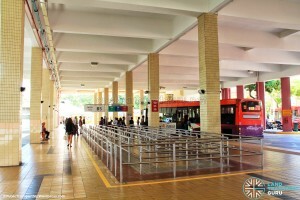 In December 1985, a temporary bus terminal (Bishan Bus Terminal) was set up near Blk 510 to cater for Service 56 as well as new bus services. 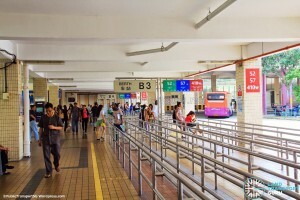 On Sunday, 30th April 1989, the new interchange became operational, and linked to the Bishan MRT Station opened two years before, giving commuters greater convenience for Bus-MRT transfers. 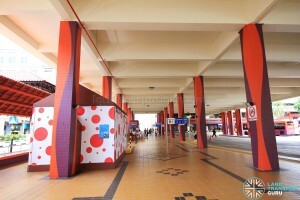 It was built in a unique square design with the covered interchange concourse surrounding the open-air bus park. The vegetarian food at the coffee shop at levrl 2 is tasty and economical. Interchange is old and needs upgrade. 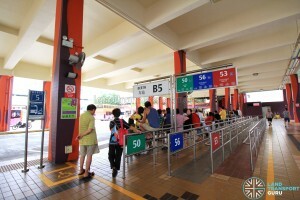 Waiting time for most of the bus is inaccurate especially 52, 57, 410w/g. Disappointment. When is other company gonna take over SBS? 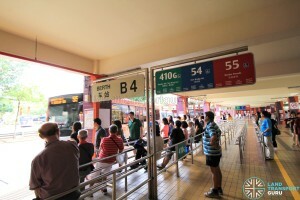 I’m very disappointed waiting for 410w for almost half an hour. 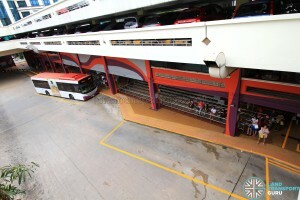 But one short two buses coming together do u because of this children are late to school and adults are late to work. 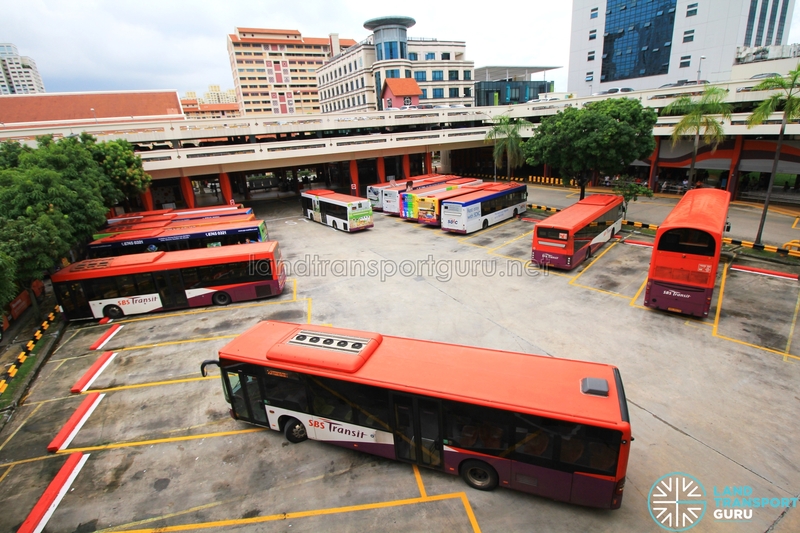 Because of your buses are not on time where so much inconvenience caused. We are not having luxury life having own vehicle. We have depend on public transport. 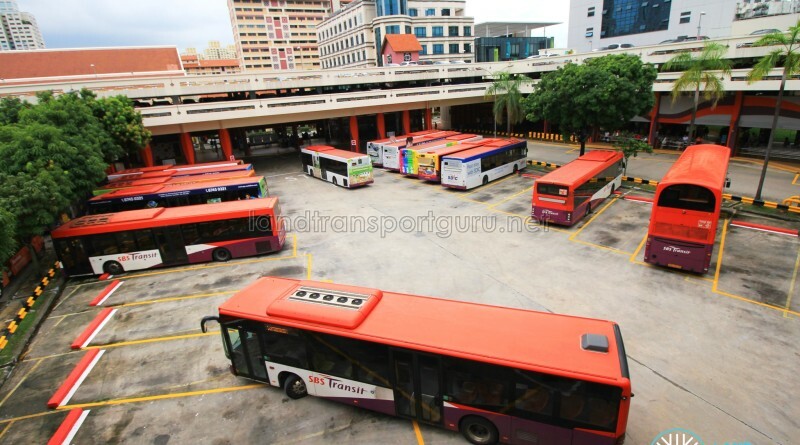 So please kindly arrange more buses on time.